A welcome email is being sent to your inbox! In the meantime, you’re going to love this! Discover The Greatest Potential In You! Performing below your real potential? Sad and desperate because you have no time for yourself and loved ones? The solution to your problem is The Goal Setting Workbook! Take Advantage of this unique opportunity now! 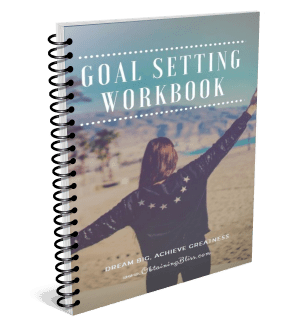 The Goal Setting Workbook is designed to help People become more productive, figure out their life priorities, and enjoy a balanced work life while achieving their biggest goals and dreams. It’s Time to Once And For All, Get Rid of Procrastination, Apathy, Laziness, Disempowering Habits, and Finally Become a Gigantic SUCCESS In the Shortest Time Possible! It’s time to feel good and be proud of your RESULTS! Yes! I want my copy now! *Please note this is a digital product. But ONLY for the next 15 minutes!